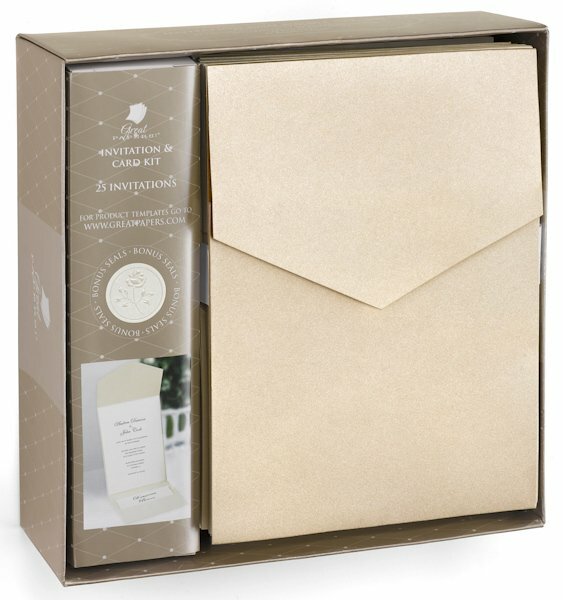 With everything you need to create dazzling invitations, this DIY pocket wedding invitation kit is done in a champagne shimmer color that is perfect for your big day. We include pocket invitations that measure 5 1/2" by 7 3/4" when folded, RSVP reception cards (4 7/8" by 4 1/4"), cards with envelopes that can be used as thank-yous (4 7/8" by 3 1/2"), pocket-style invitation envelopes and adhesive dots. We also include instructions for printing your information on each page. 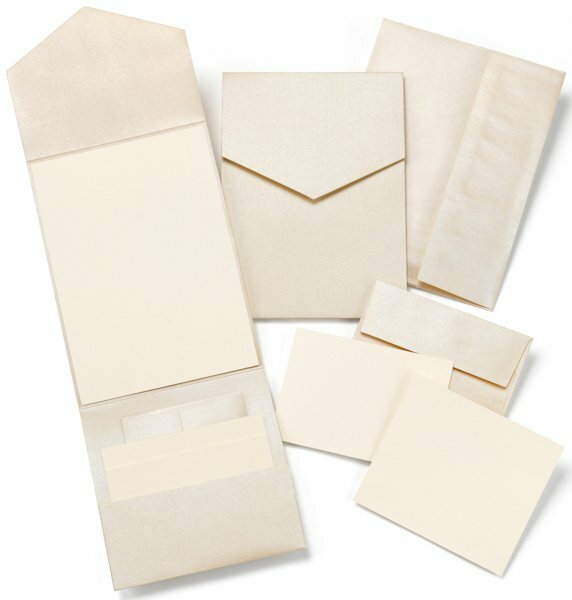 The entire set is boxed as shown, with enough stationery for 25 invited guests.